Truly a gem! 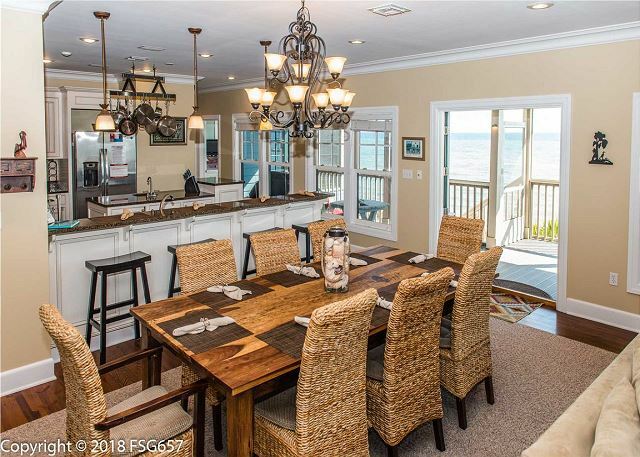 Tucked away on the secluded beachfront of the original Windmark Beach Community, you'll definitely find this rental unit is “1 To Remember.” The stunning 6 bedroom 5 bathroom home combines old Florida charm with modern amenities. Just steps from the edge of the water! 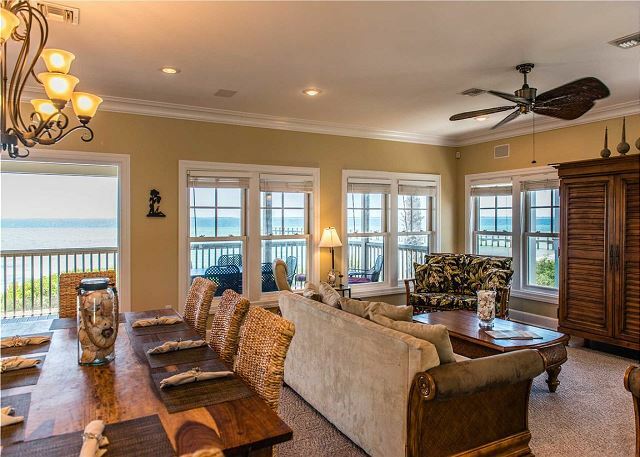 The main level of the house includes the large open living area, dinning and kitchen areas, there are 2 bedrooms on this level one on the Gulf front with a queen bed and office area and one master suite on the other side of the home with a king bed. There is a furnished covered porch off of the living area with a nice gas grill. Upstairs you will find another sitting area/landing with a TV/DVD, one king master suite with a whirlpool tub and walk in shower. 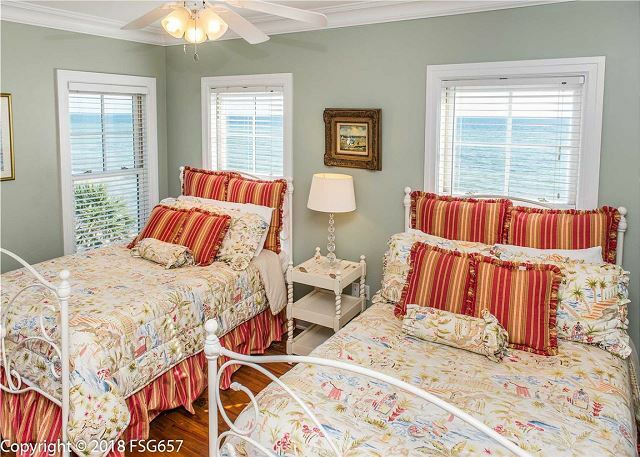 One Gulf front bedroom with 2 queen beds and one bedroom with a queen bed. There is a covered porch along the Gulf front side of the second level. 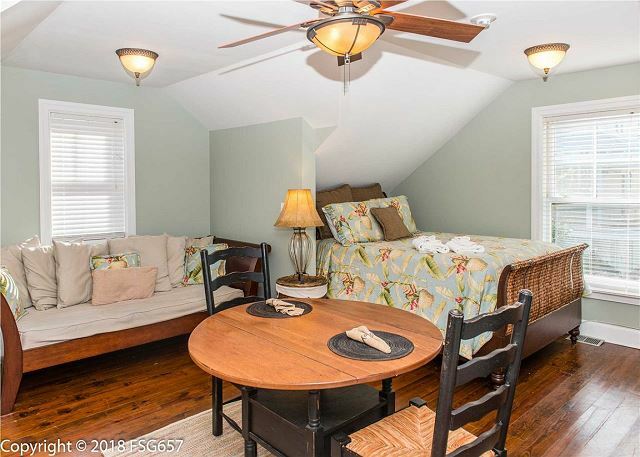 The cozy and private guest house is located right behind the main house above the garage and features a full bath, a Queen bed, a day bed, a kitchenette with a full size refrigerator a small dining table. There is a TV and DVD player in the guest house as well. Features include a fully equipped and well stocked kitchen with a sub-zero refrigerator and freezer, and a large dining table with seating for 8. Watch your children fish from the pier, or lounge in the hammock while enjoying the sensational sunsets! 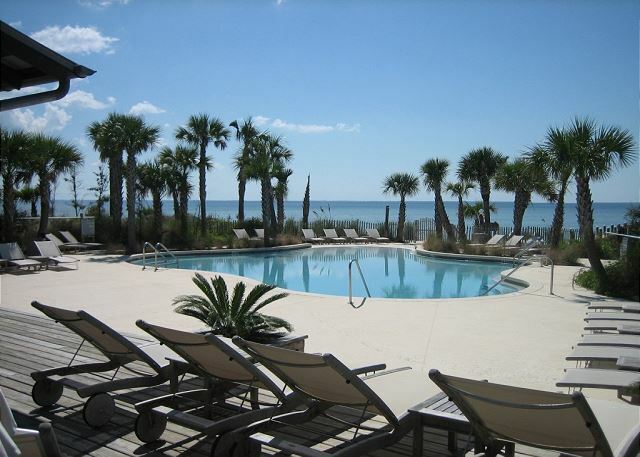 Ride along the bike paths, or visit the clubhouse with a beautiful setting around a gulf front pool! 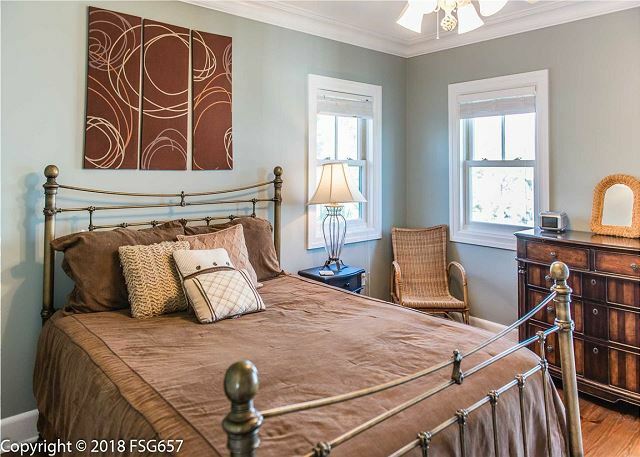 Need more room for family or friends? 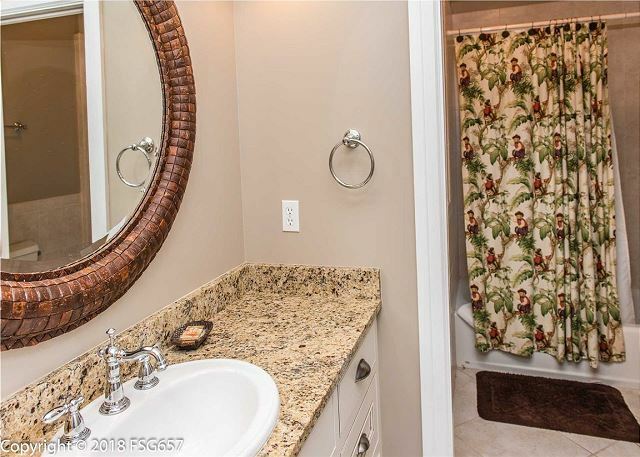 This house is convenient to everything the area has to offer, just minutes from downtown Windmark and Port. 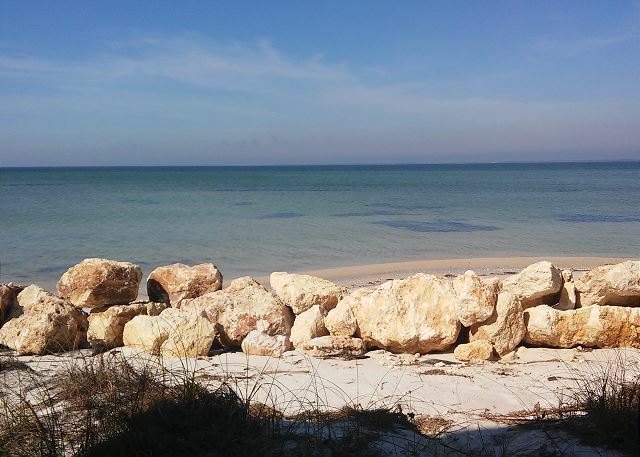 St. Joe, to the east and Mexico Beach to the west but it is still located on one of the quietest stretches of sugar white beach in Florida! 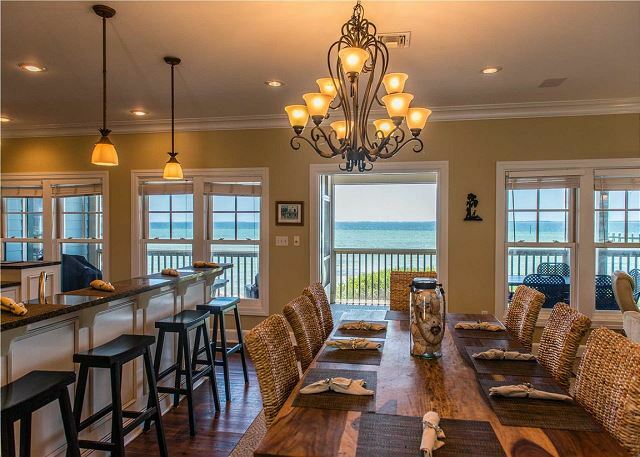 Weekly reservation includes a $250 credit of beach gear rental provided by VayKGear. No need to find a beach gear rental company, you’ll be able to shop for bikes, paddle boards, kayaks, beach chairs, umbrellas, or even beach carts. Your gear will be delivered to your beach house and will be waiting for your arrival.